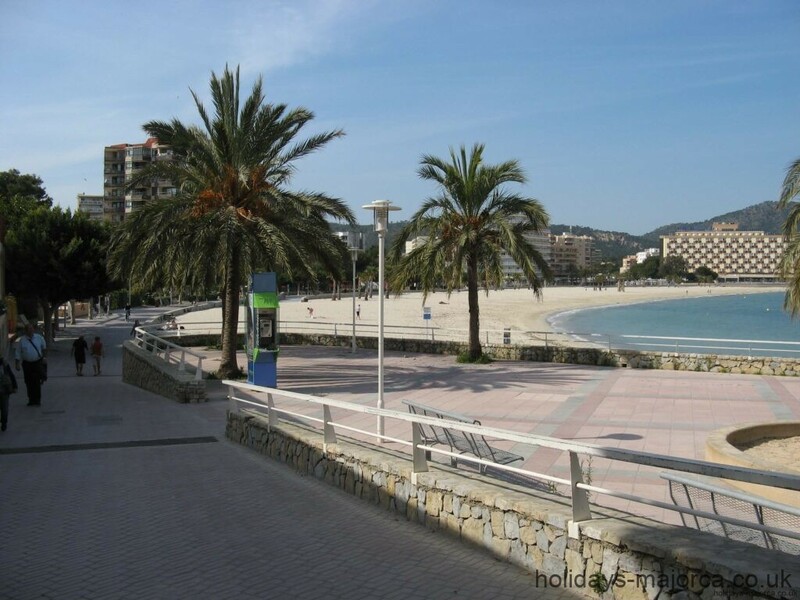 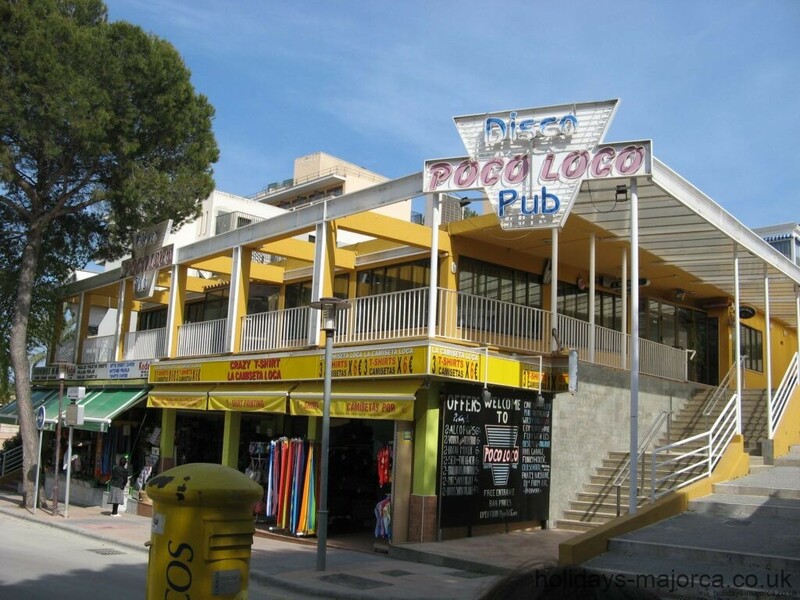 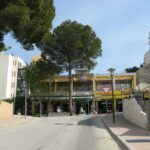 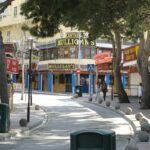 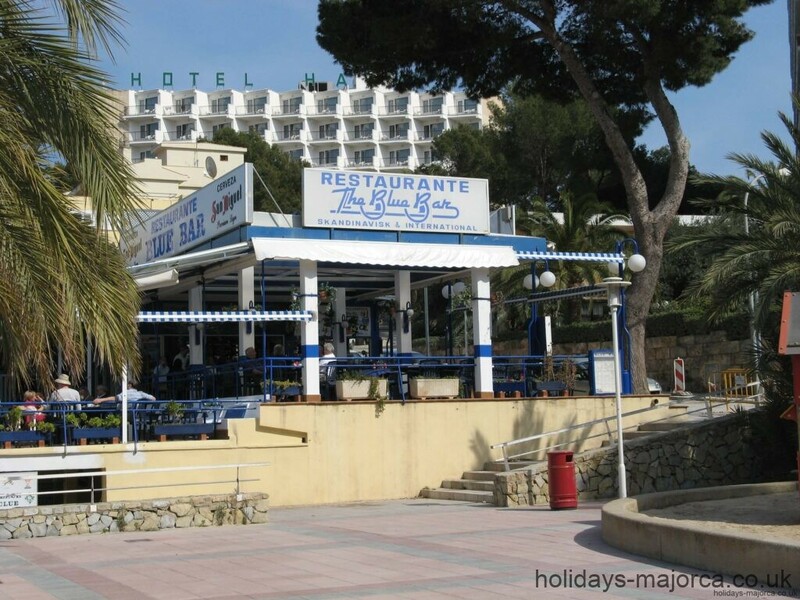 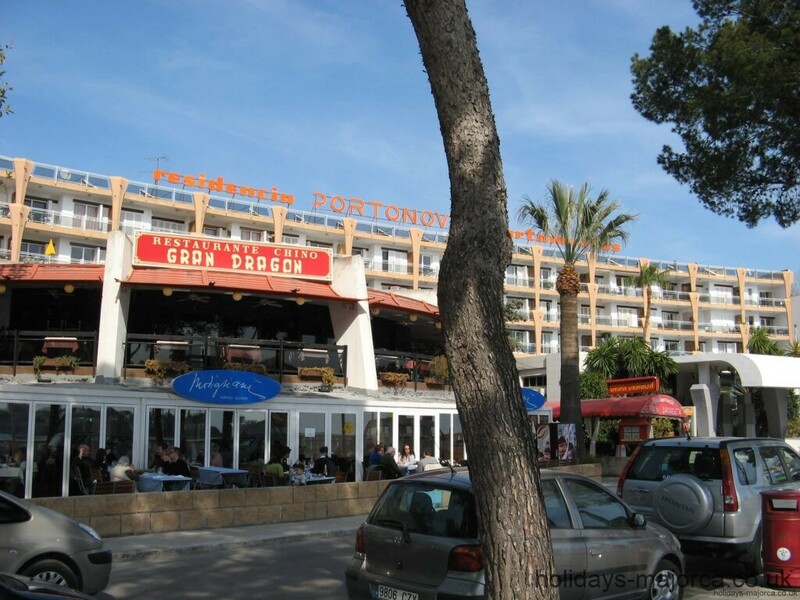 Palma Nova is situated approximately 14KM from Palma de Majorca and sits adjacent to the hugely popular Magaluf. 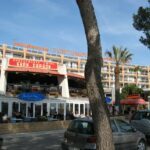 The two resorts are almost indistinguishable from one another, although known to have a younger family orientated atmosphere through the day in peak season. 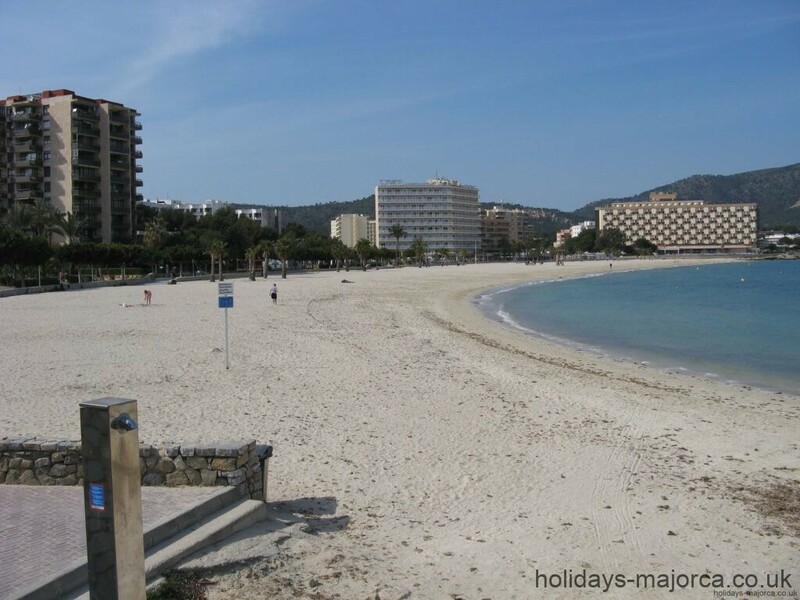 However, don’t expect a peacefully quite holiday here. 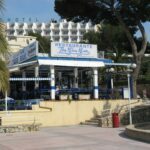 The holiday resort is famous for round the clock party antics invariably fuelled by cheap alcohol from the many bars and clubs in the resort. 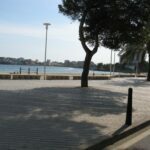 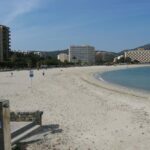 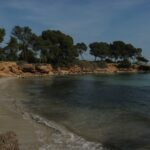 The beaches at Palma Nova are some of the prettiest on the island and are well catered for with regards facilities (i.e. 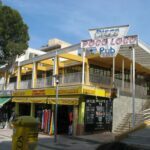 food, drink, toilets, lifeguard, etc). 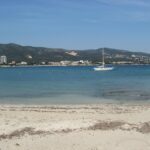 Please be aware that it is illegal to drink alcohol or bring any kind of glass bottles / containers on the beaches here. 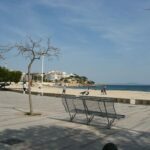 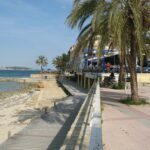 As with its neighbouring Magaluf, Palma Nova goes through a seasonal metamorphosis during the winter months, becoming a favoured holiday destination with older families and the elderly seeking a warmer climate at bargain prices. 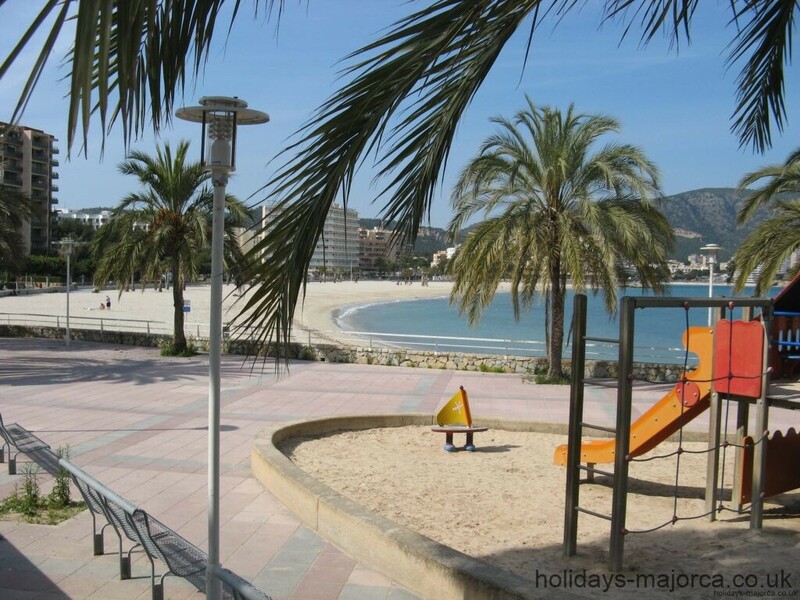 Getting to the resort is easy for most on package holidays, as it’s as simple as stepping on the right coach. 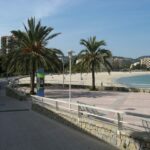 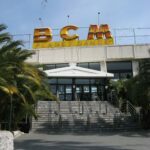 For others who prefer to make their own way to the resort, there is a plentiful supply of buses running to the resort from Palma de Mallorca. 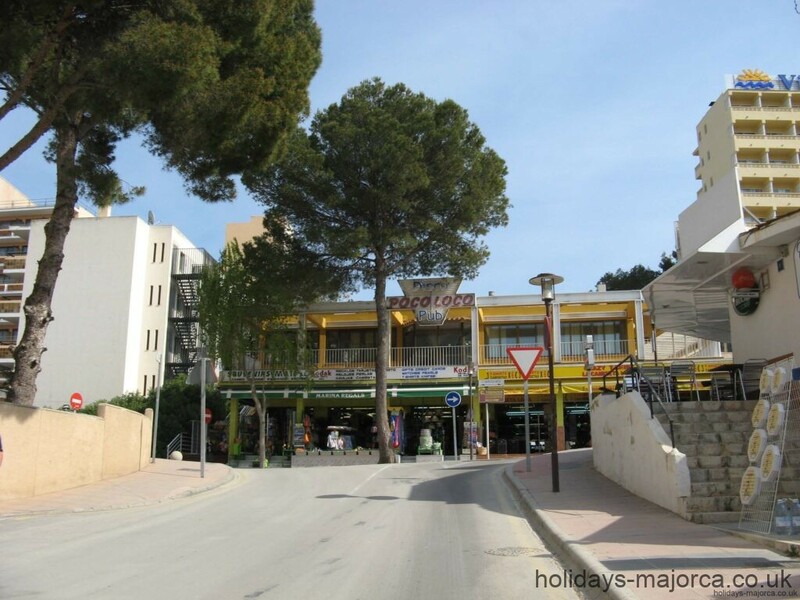 Bus lines 102, 104, 105 and 106 buses will take you there. 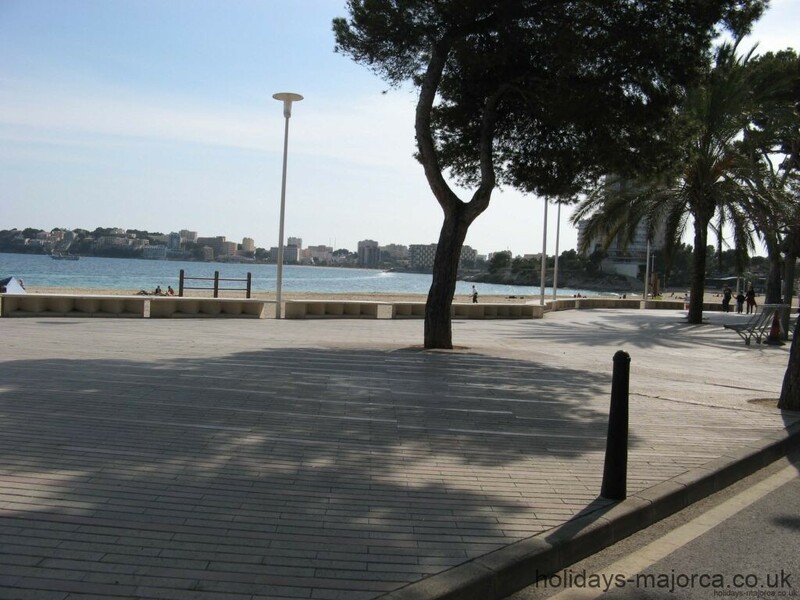 Buses numbered from 100 to 199 cover the Calvia (South West) area of Majorca. 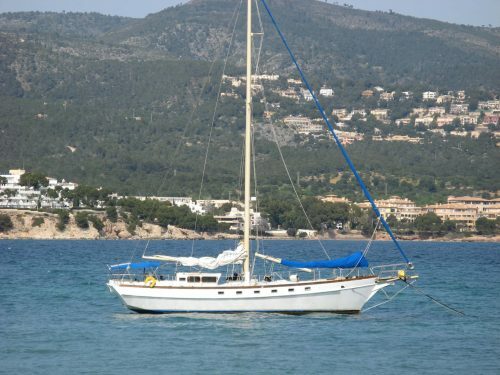 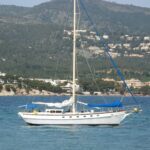 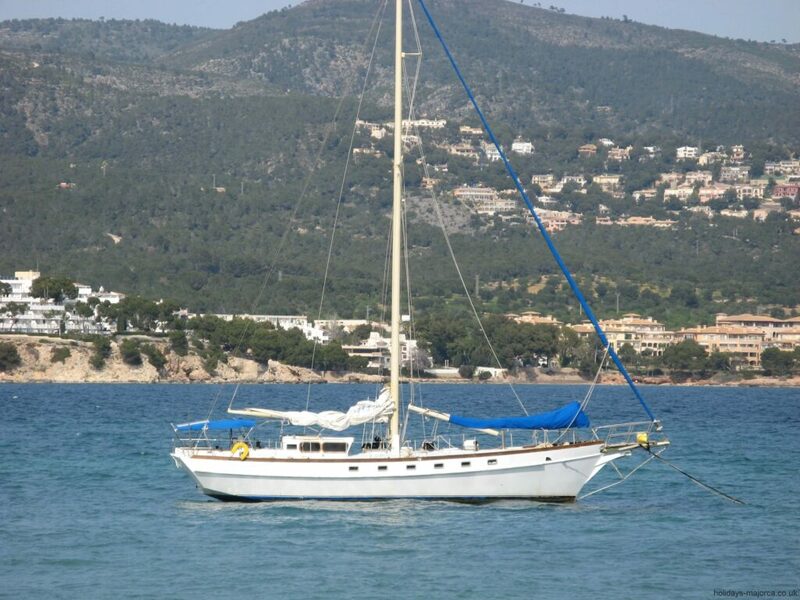 Palma Nova II is generally considered the best of the three as it has all the facilities you could wish for. 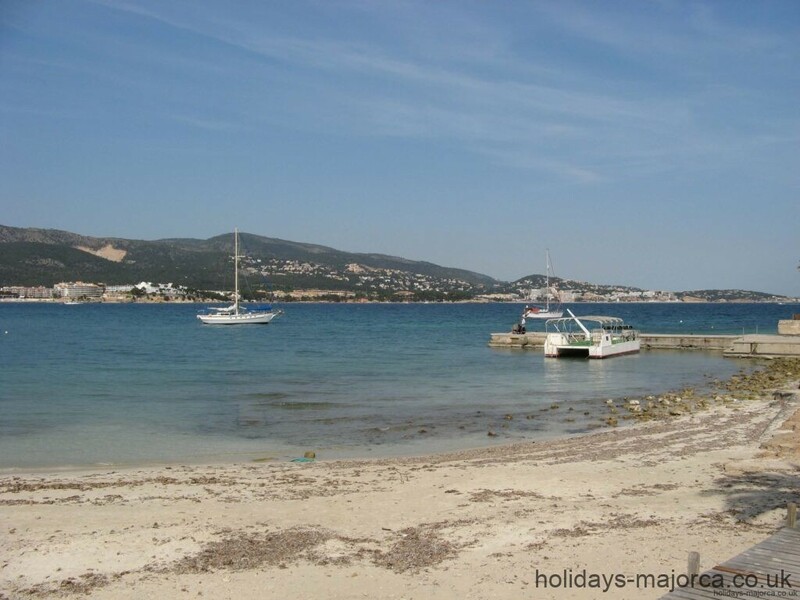 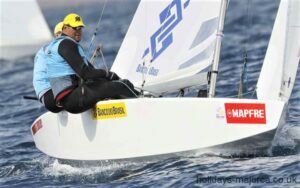 Son Maties is more water sports orientated with activities like waterskiing and wind surfing. 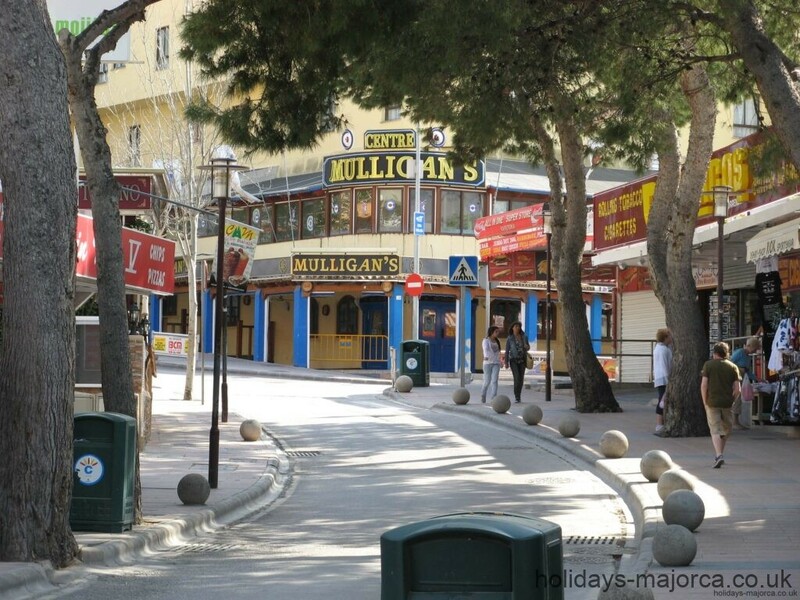 During the evening the area around Son Maties gets very busy with people visiting the pubs, clubs and restaurants. 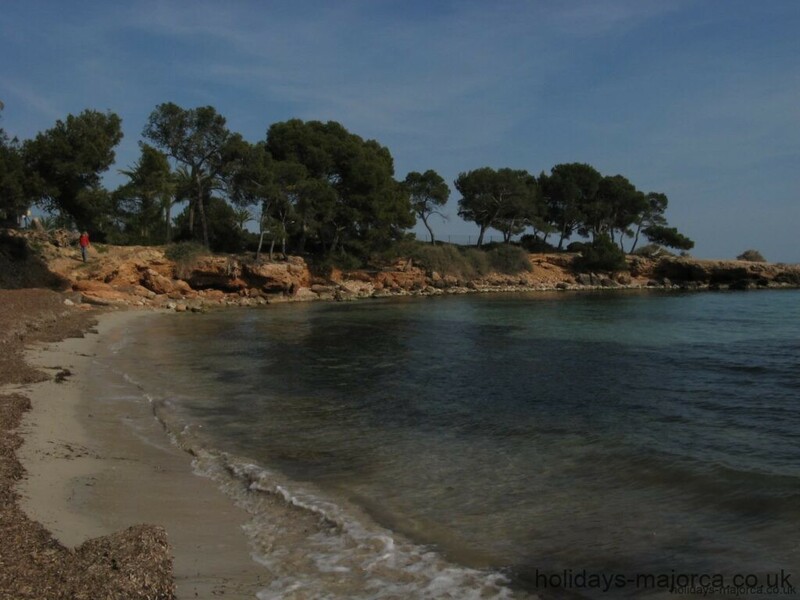 At the end of the beach there is an old round watch tower. 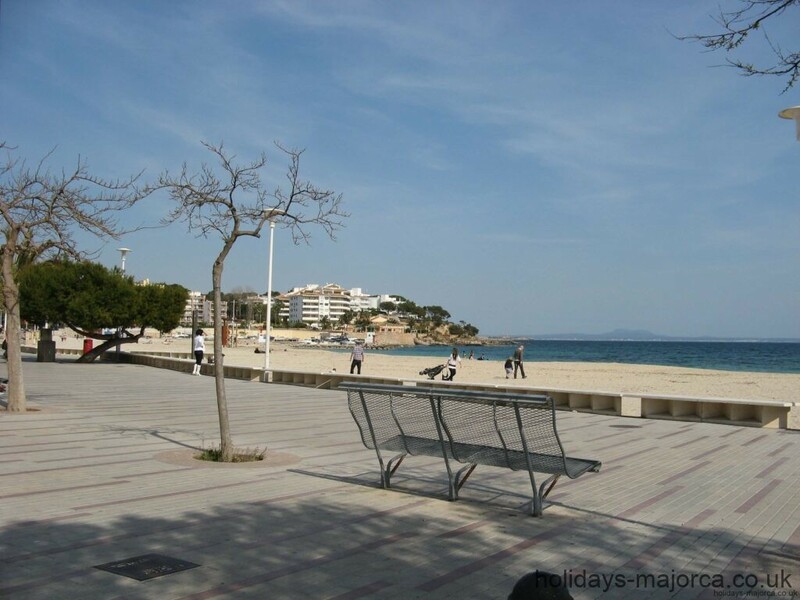 This watch tower marks the division between Palma Nova and Magaluf. 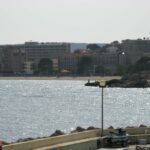 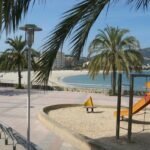 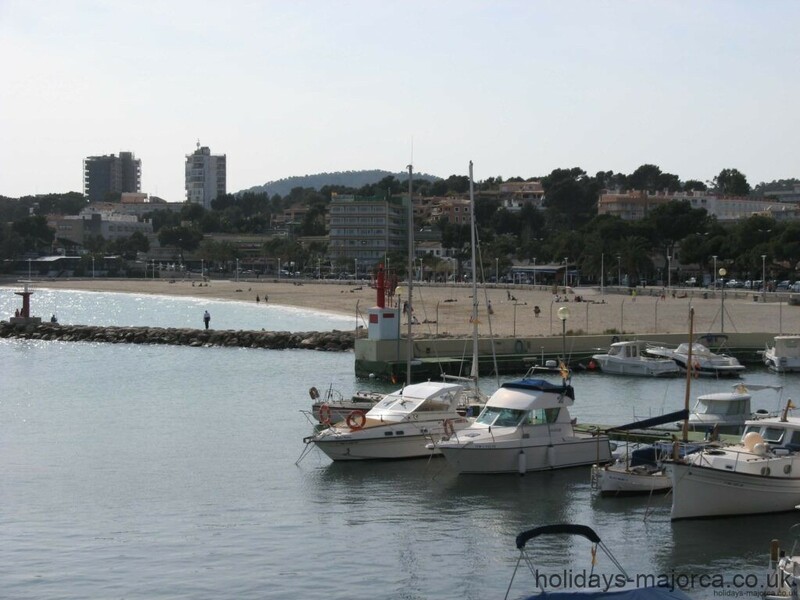 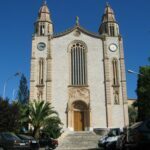 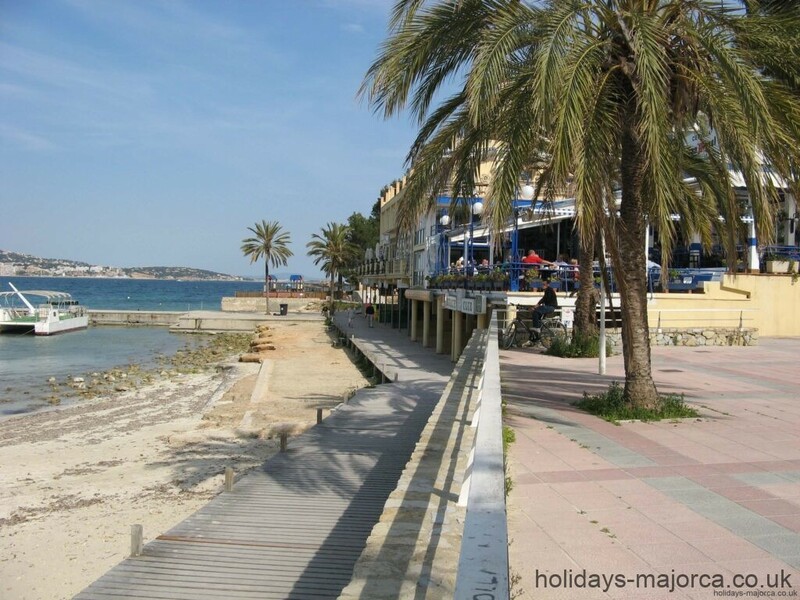 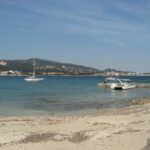 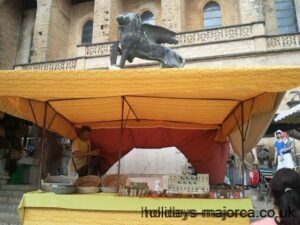 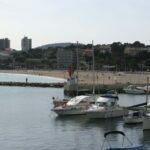 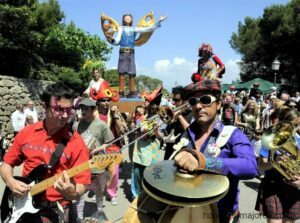 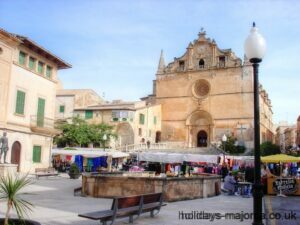 A guide to the holiday resort of Palma Nova in Majorca. 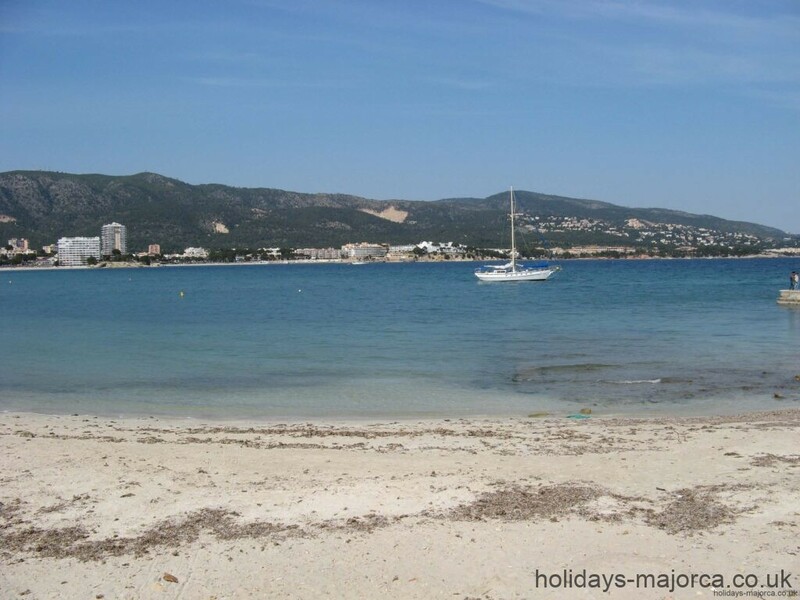 Includes things to do, location map and photos.